Murderous Chi-town techno winners from Beau Wanzer (Civil Duty/Streetwalker/Mutant Beat Dance) and Shawn O'Sullivan. 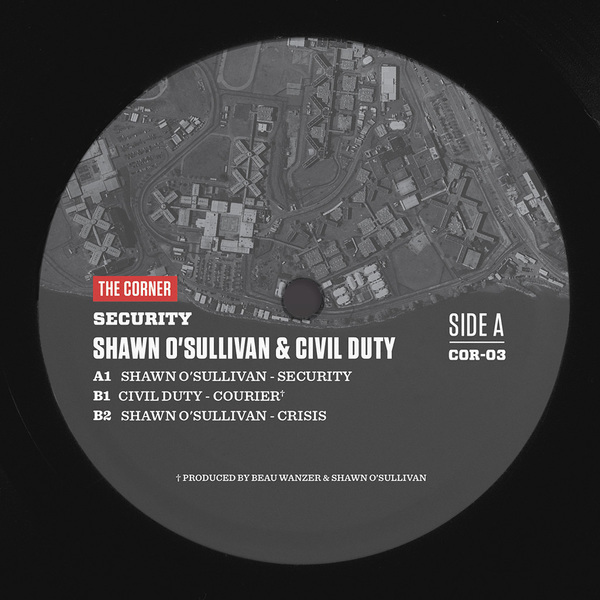 Adhering to stringent analog values, Shawn O'Sullivan gives the unrepentant, pounding modulations of 'Security' on one side, and the droning, swaggering, Regis-style swing of 'Crisis' on the flip. Beau Wanzer seals the deal with a jagged pneumatic wave jacker named 'Courier'.